Here are some of our favorite healthy restaurants in Portland's sea of great food. In F&W's survey of America's Favorite Food Cities, you chose Portland, OR as the country's best destination for healthy food. Here are some of our favorite healthy restaurants in Portland's sea of great food. Harlow. 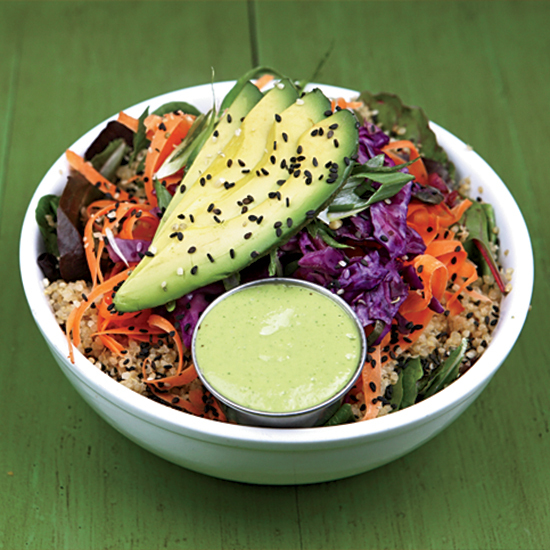 The quinoa-kale Urban Bowl is a study in contrasts, with crunchy kimchi and creamy avocado. Natural Selection. The elegant four-course vegetarian prix fixe is a steal at $45. Boke Bowl. For fennel- dashi ramen and more fresh East Asian food. Voting is still open so take our survey to support your favorite food city!